Dr. Kanye West: rapper, designer, father and, apparently, actor. Yes, soon theatre screens around the world won’t be safe from the ever expanding ego of the Kardashian lover as he is set to star in Spike Lee’s new film, Chiraq. The musical comedy, based on the Greek story Lysistrata, will centre on a woman who attempts to stop gang violence in Chicago, according to Screen Daily. Samuel L Jackson and John Cusack are apparently being lined up to star in the film which will receive a theatrical release courtesy of Amazon Original Movies. The project has already received criticism from Chicago Mayor Rahm Emanuel despite having not yet begun filming. During a press conference, the mayor expressed his displeasure with film’s title, a popular nickname created by rappers to highlight the extreme violence in the city. Emanuel had apparently sat down with Lee the week previously, telling press "We had an honest, frank conversation. He said that while the movie is about the neighbourhood of Englewood, I was clear that I was not happy about the title. “I told him also that there are very good people that live in Englewood who are raising their family and there's a lot of positive things that are happening in Englewood mainly driven by the people that make up Englewood." 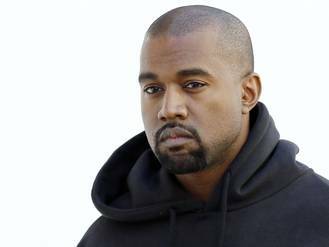 No release date has been set for the film as yet, but if you are longing for a dose of Kanye's creative output his next album, titled Swish, is rumoured to drop any day now.